Now that Comic Book Scalping has partnered with the Eh! Variant program, here is the world premiere of Final Cover art with a direct link to buy copies for the Wytches #4 Eh! Variant limited to 1000 copies. Cover art by Garry Brown. 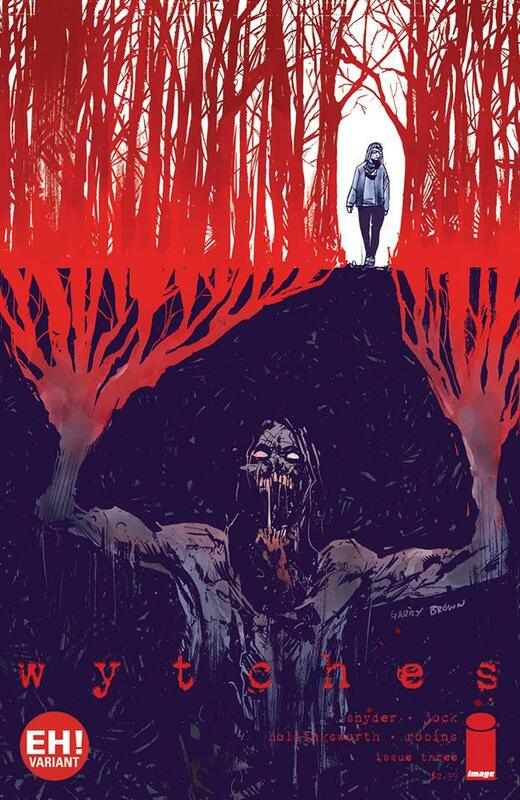 Wytches #4 comes out February 4 2014. $40, are you serious? So overpriced!